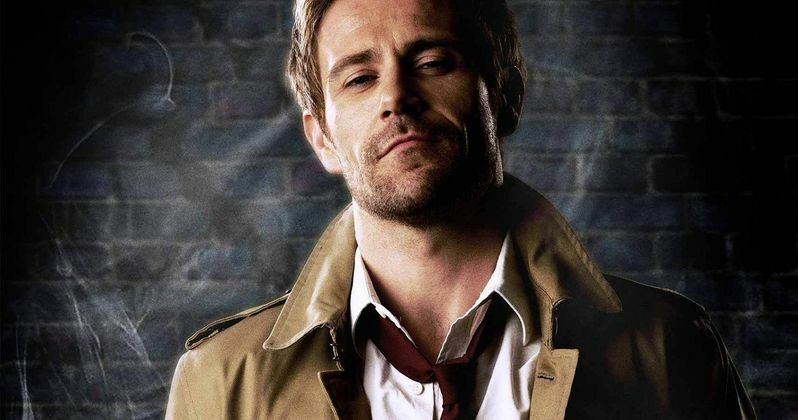 NBC has released a new behind-the-scenes featurette for the upcoming "Hellblazer" adaptation, Constantine. This inside look features star Matt Ryan and others discussing the show. Take a look and watch the Pilot episode Friday, October 24 on NBC. Based on the wildly popular DC Comics series "Hellblazer," seasoned demon hunter and master of the occult John Constantine (Matt Ryan) specializes in giving hell... hell. Armed with a ferocious knowledge of the dark arts and his wickedly naughty wit, he fights the good fight - or at least he did. With his soul already damned to hell, he's decided to leave his do-gooder life behind, but when demons target Liv (Lucy Griffiths), the daughter of one of Constantine's oldest friends, he's reluctantly thrust back into the fray - and he'll do whatever it takes to save her. Before long, it's revealed that Liv's "second sight" - an ability to see the worlds behind our world and predict supernatural occurrences - is a threat to a mysterious new evil that's rising in the shadows.